JANUARY • It was the perfect month to hibernate at home, as it was mostly cold and wet and gloomy out of doors. 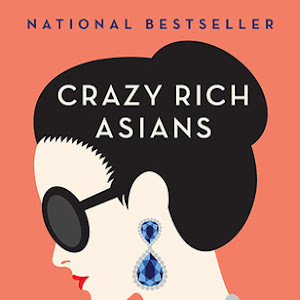 Nothing suits me better than staying warm and dry, cozily surrounded by people I love and books to read! But we did manage to accomplish a couple of things, including ringing in the new year with friends, seeing two of my friends get married and moving into a new apartment. FEBRUARY • Even though it was still quite chilly, there was enough happening in real life to keep me warm and on my toes. 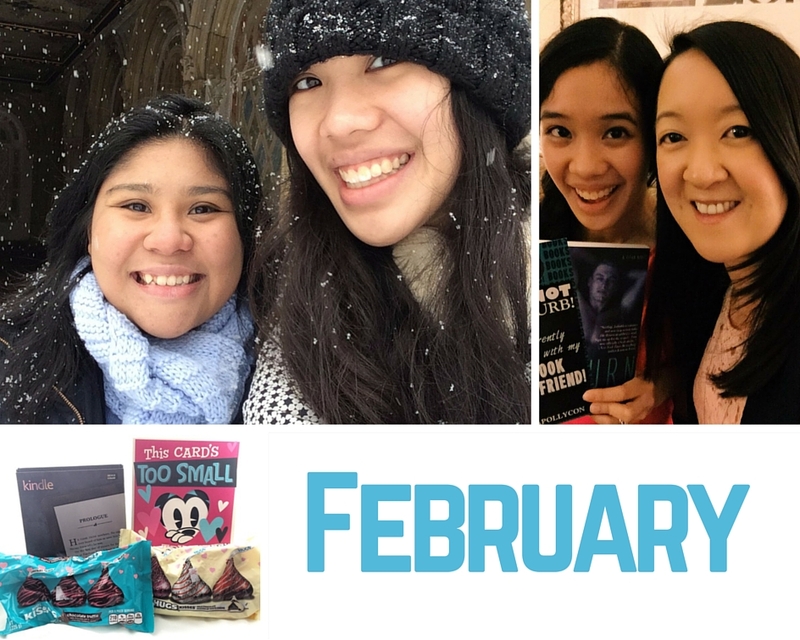 I attended the very first ApollyCon in Philadelphia with Rachel, spent some quality time with my cousin-slash-little sister Carmela while she was in town, and got a brand new Kindle for Valentine's Day. 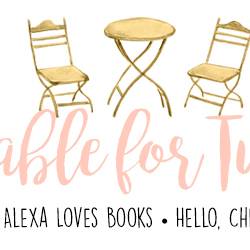 Plus, the 2015 Book Blogger Love-a-Thon was a blog event that brought me to tears with how wonderful it turned out and how enthusiastic all the participants were! 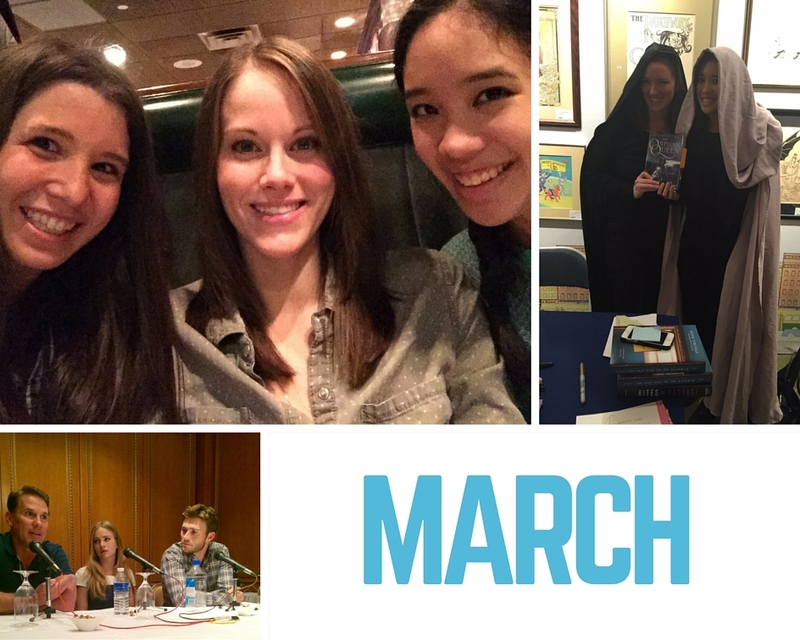 MARCH • This was the month of book events galore for yours truly! I attended the launch event for The Winner's Crime, the launch party for The Orphan Queen (where I got to meet Joy N. Hensley & see my beloved Jodi Meadows again! 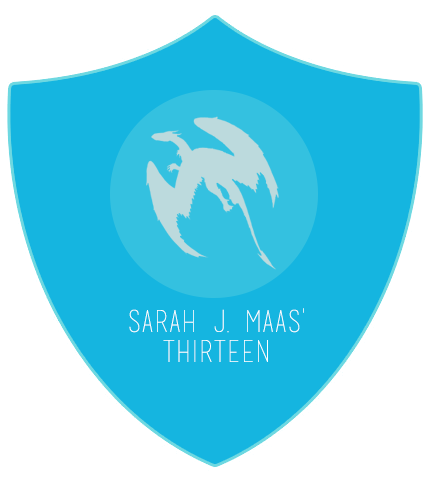 ), the "Perils of Perfection" panel for the New York Teen Author Festival, and the launch event for The Wrong Side of Right (where I got to interview Jenn!). I also got the opportunity to attend one of my first ever events as an official part of the press: an early screening and round table opportunity for The Longest Ride. And this was also the month I had a diner date with my girls Betty & Cassie, and that I celebrated my best friend's Pat birthday with her. 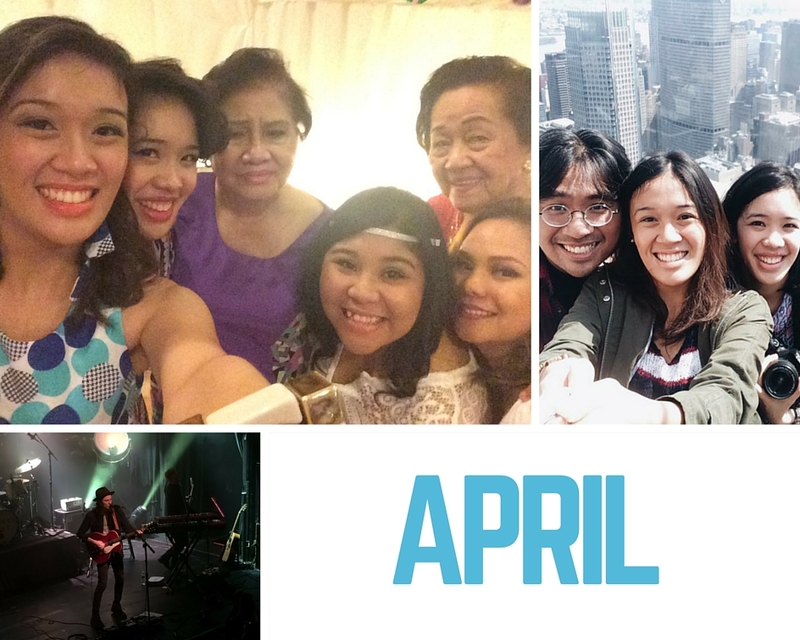 APRIL • I went on a spontaneous trip home to the Philippines to be at my grandmother's 80th birthday celebration! It was a week-long whirlwind, but I enjoyed getting to hang out with my family and friends. Plus, I got to meet Hazel in person! 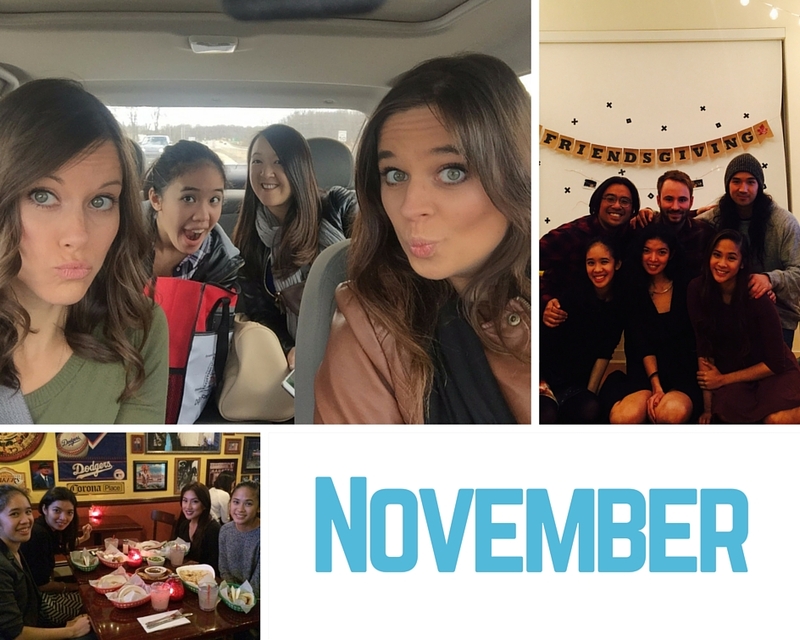 This month stayed pretty busy, as my baby sister Rachel was in town, and we celebrated Mel & Macky's birthdays many times and many ways (and all of it was fun). This was also the month I got to meet Katie Cotugno! MAY • The first half of May involved a road trip to Boston/Cape Cod, and spending time with my baby sister doing all the touristy things before she had to leave for home. (*cue sobs*) But a few days after she left, my college roommate Rachel arrived in town, followed shortly by our other roomie Mutya and we got some fun touristy things done. After they'd left town, it was all about BEA 2015 for me! Rachel & I got to have dinner with two of my favorite authors, Susan Dennard + Alexandra Bracken, to kick things off. For the next few days after that, it was time to explore exhibits and attend pub events, and spend time with one of my best friends Kelly! 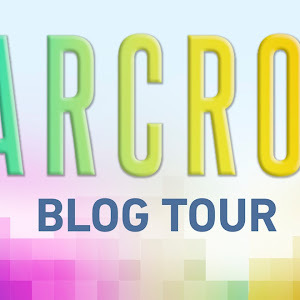 I got to see so many wonderful blogger + publicist friends, and see so many authors I really love as well. It was really fun, and really chill, which was a nice change from the years prior. 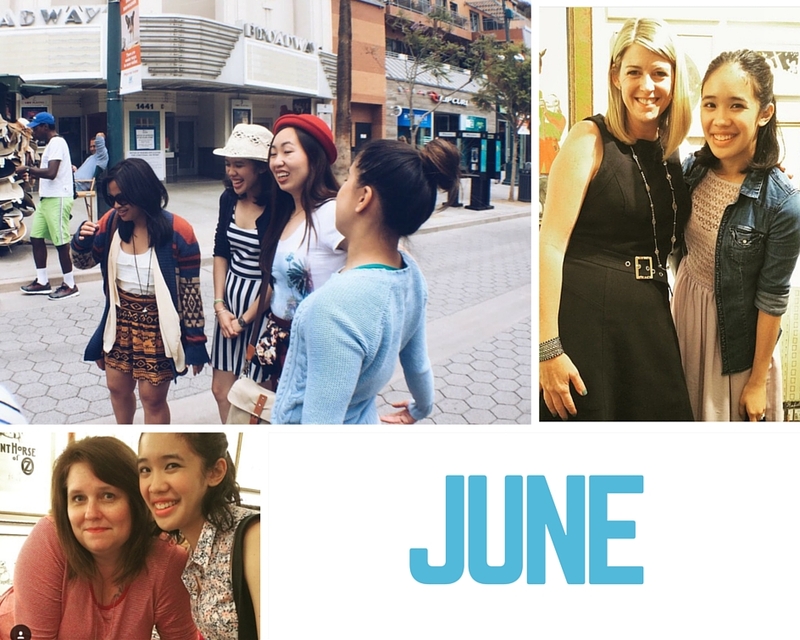 JUNE • I kicked off my month with a trip to LA to hang out with my college roommates for a few days, and it was a glorious reunion! 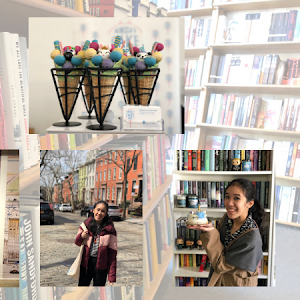 It was a quieter month all around, except for the fact that I got to see Trish Doller, Emery Lord and Tamara Ireland Stone for the events they did at Books of Wonder. JULY • Macky & I spent our Fourth of July weekend just relaxing at home, which was something we had both needed. But the month got busier after that! 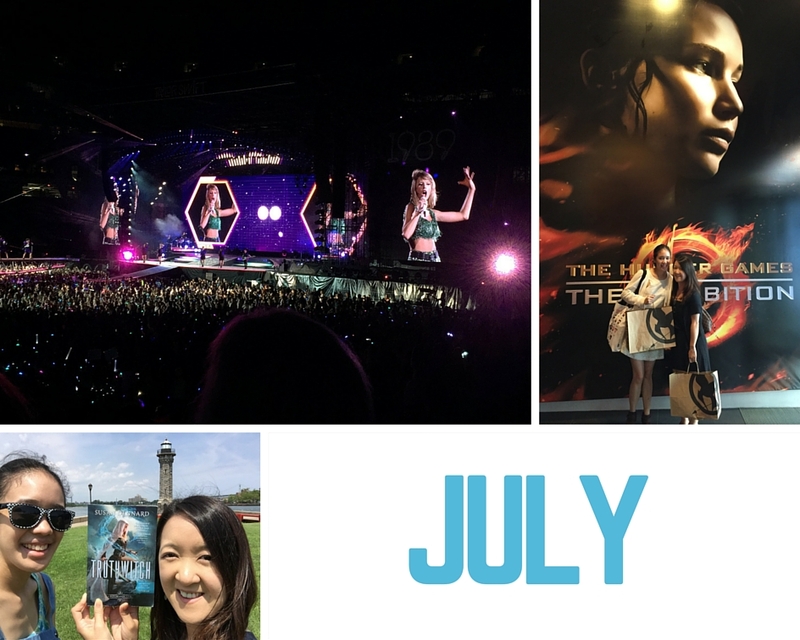 I got to see Taylor Swift perform live (and it was one of the best nights of my life). There were also ice cream adventures, time spent with loved ones, and a visit to The Hunger Games: Exhibition. Rachel & I also took a day off just to hang out, and to visit Roosevelt Island. 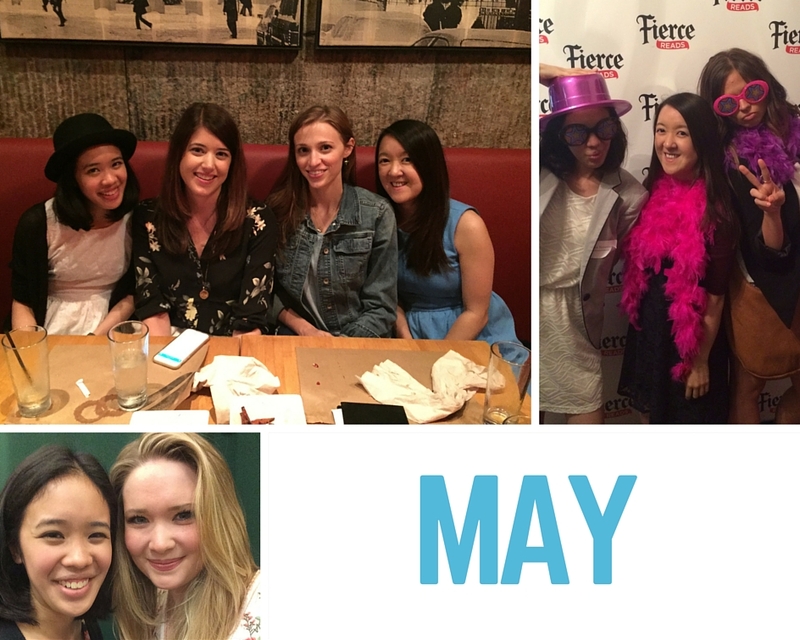 And I got to see Miranda Kenneally, Sherry Thomas, Julia Quinn + Tessa Dare this month! AUGUST • Birthday month alert! 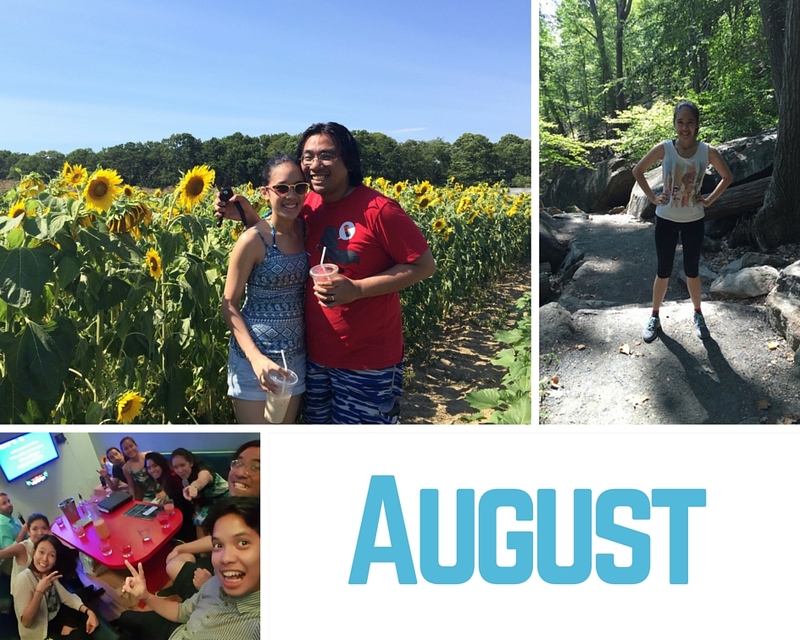 The very first weekend of the month, I went up to Cape Cod with Macky; it was a wonderful getaway and much-needed. 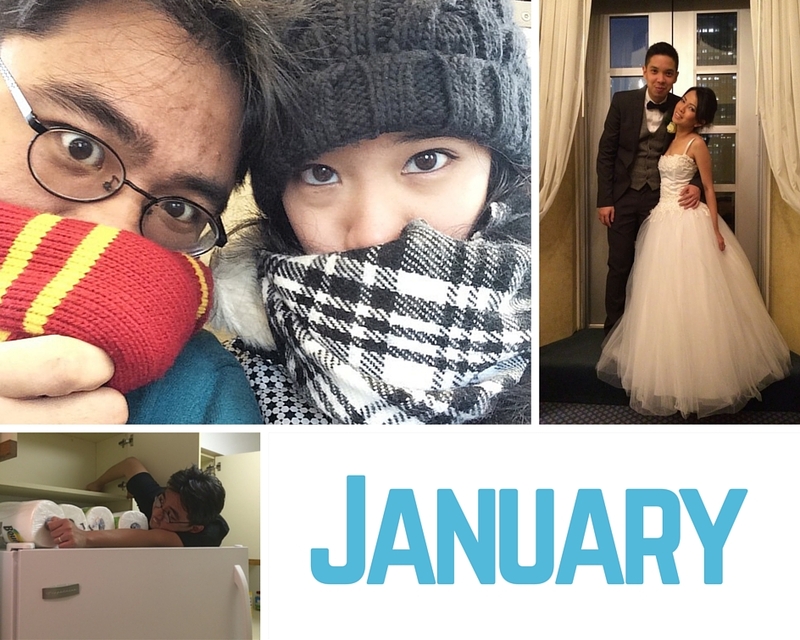 The week after, I was spoiled with a bunch of celebrations + presents for my 26th birthday. Rachel & I also went on a hiking trip one weekend, which was really fun and really tiring (especially because it was so hot). It was really a month where I just celebrated the entire time, and I love that! Plus, the weather was simply glorious, and I always felt like there was something fun going on, even if it was simply something we could do at home. SEPTEMBER • I was so crazy busy in September that I wound up not being able to really blog about everything I'd gotten up to until later on in the month. 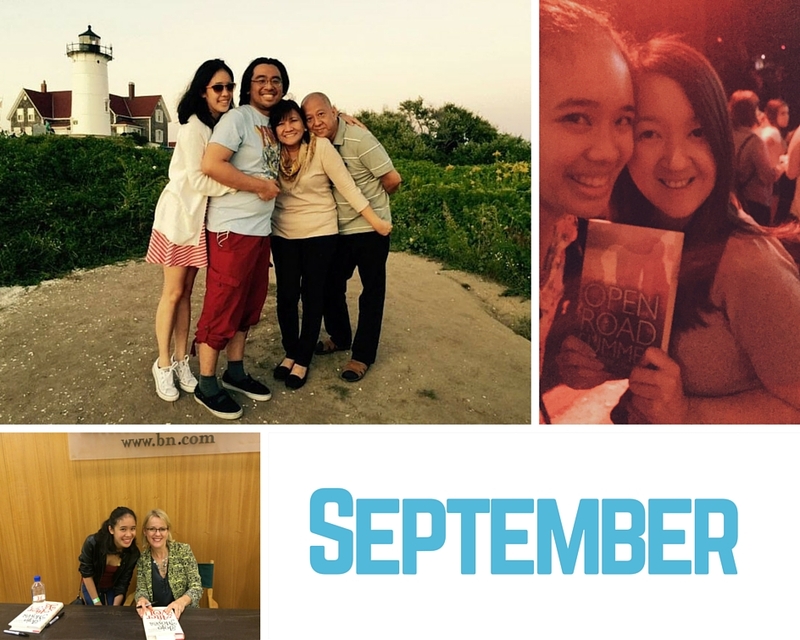 Highlights of the month include the launch event for Queen of Shadows, the launch event for After You, a visit from my in-laws, a double date trip to Cape Cod, a visit to the Met and movie marathons with Danica. Plus, Rachel & I went to see Jana Kramer in concert, and she was phenomenal. And Macky & I celebrated our second wedding anniversary! OCTOBER • Macky & I went to a Jason Robert Brown performance to celebrate our unofficial anniversary. His show is fantastic! I also spent some time with Jodi Meadows when she was in town, and she is the loveliest. 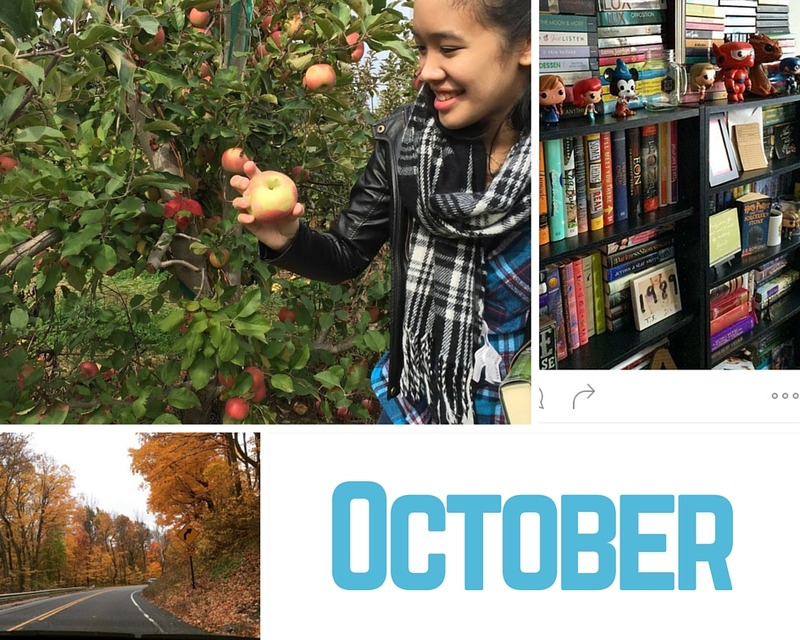 Plus, I went apple picking with Rachel & participated in the #BooktoberFest Instagram challenge. 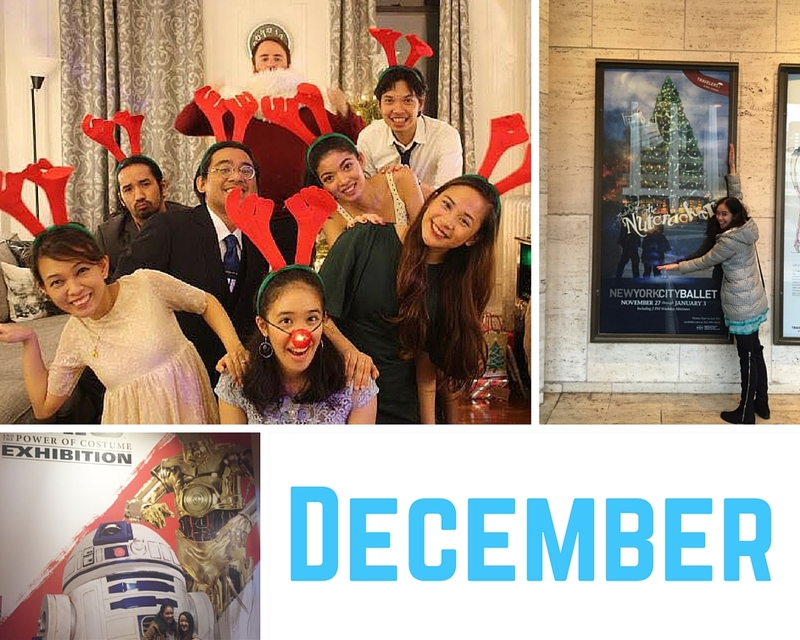 There's absolutely no way that these posts can begin to express how wonderful my year has been, but it's been fun to look back at it and see what I've gotten up to. 2015 was such a brilliant year, and I'm so immensely grateful for all the opportunities I've gotten, the blessings I've received and the memories I'm walking away with. The year has not been without its complications, however, but even those things I am grateful for because they made me stronger and smarter. What I want to bring into the new year with me is this: gratitude, bravery, inspiration and love. I want to continue to challenge myself to be better, to love more, to be grateful, to be inspired and to inspire and to be brave. With that in mind, I bid you goodbye, my dear 2015, and 2016, I'm welcoming you with open arms!